When two performance fabric gurus merge, extraordinary things happen. 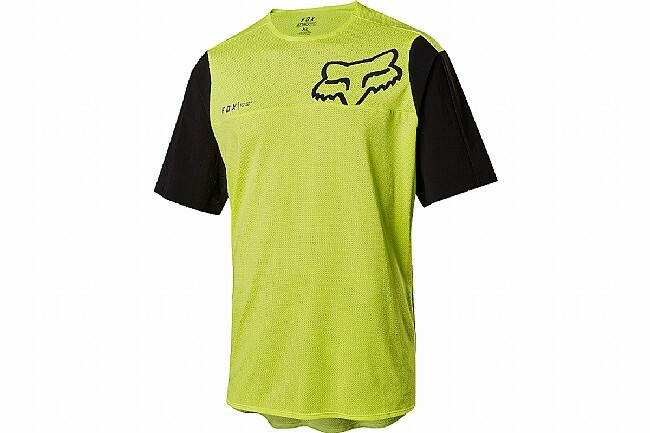 Blending the technical wizardly of Polartec and the incredibly durable nature of Cordura, the Attack Pro short sleeve jersey from Fox Racing redefines mountain bike apparel and sets a new standard. The Attack Pro is power by Polartec Delta, a cutting-edge fabric which not only wicks sweat but actually lowers your body temperature as you ride. So simply put, when it comes to hot riding conditions, this jersey outperforms the competition. Period. For trail-specific durability, we reinforced the high-wear areas (sleeves) with Cordura fabric to shield you from trail overgrowth and other abrasions. Add in the considerable amount of 4-way stretch and an engineered fit - specifically tailored for an MTB riding position - and you get unbelievable comfort all-day and on any trail. Polartec Delta main body fabric for superior moisture management. Cordura 4-way stretch woven sleeves offers increased trail-specific durability. Strategically placed laser perforations for enhanced airflow. Rider Attack Position (RAP) for precise fit on the bike. Fox is just another word for quality made! 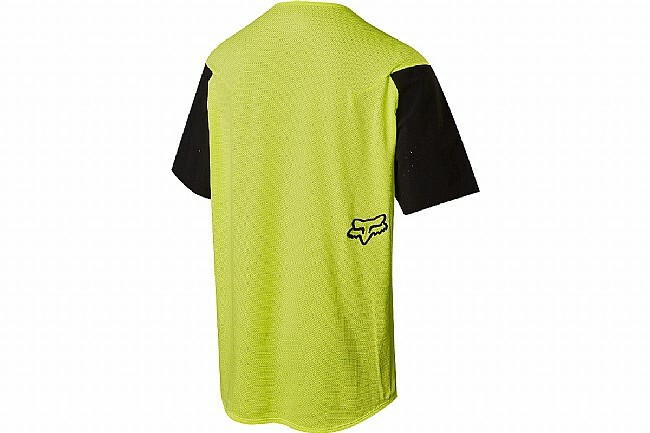 As always with fox products this jersey is very well made, fits true to size , and other than being a little pricey I'm sure this jersey will be with me a long time thus the old saying you get what you pay for.